Packed with Proteins: Made with freshly prepared delicious duck – highly nutritious, very tender and low in fat. Superfood Veggies: A nutritious array of vegetables including courgette and pumpkin. Gentle on tummies but full of fibre. Fantastic Fruits: Juicy blueberries bursting with potassium, fibre and other important vitamins. Natural Joint Supplements: Glucosamine and Chrondotin to promote healthy cartilage and keep joints supple and strong. 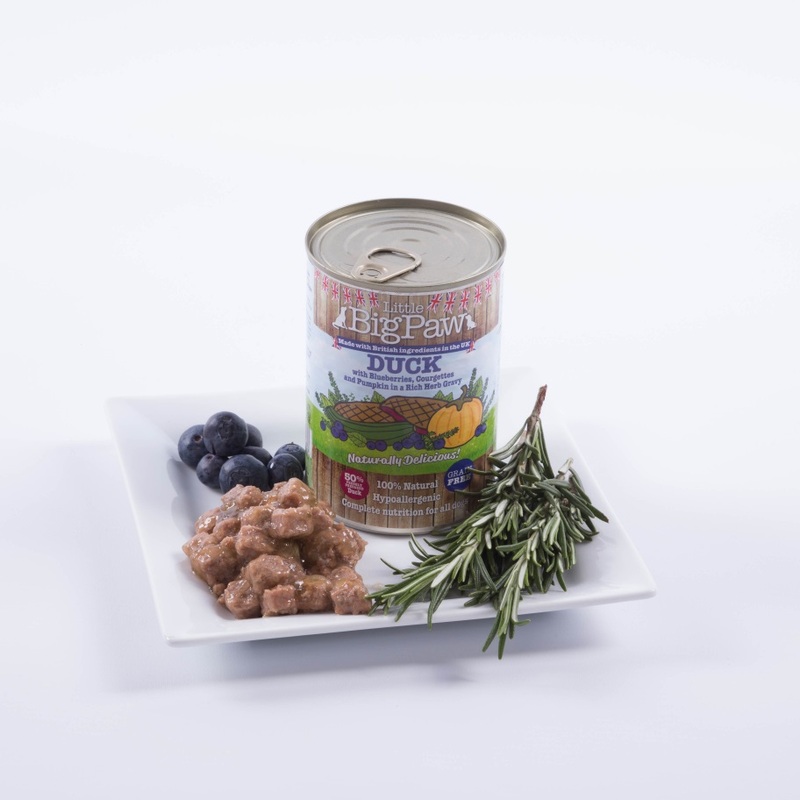 Composition: Duck 50%, Blueberries 4%, Courgette 4%, Pumpkin 4%, Vitamins and Minerals, Sunflower Oil, Salmon Oil, Flaxseed Oil, Dried Kelp, Dried Rosemary, Dried Chicory Root, Mannanoligosaccharides (Prebiotic MOS), Dried Nettle, Green Tea, Dried Rosehip, Glucosamine, Chondroitin Sulphate, Marigold. Analytical Constituents: Protein: 9%, Fat Content: 5.5%, Inorganic Matter: 3.7%, Crude Fibre: 0.5%, Moisture: 80%. My dogs love it and I love that it’s natural and hypoallergenic.